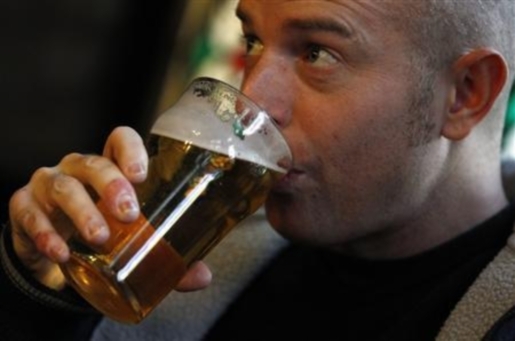 For years, the staple of British pubs (both in Britain and abroad) has been the pint. The pint was first standardized by an Act of Parliament in 1698 in an attempt to ensure that all pubs sold the same amount of booze for the same price. The first significant change to that ruling is taking effect in Britain, as a third size of drink is now available at your local pub. Joining the pint and half-pint is the schooner. Also, wine will be sold in 75ml portions, as well as the current 125ml standard. The schooner is a slightly smaller size of drink often used in Australia. It’s not actually going to replace the pint (at least, not yet), but it will be added to the drink options for those who want something sized between a half-pint and a full pint. A schooner is roughly 2/3rds of a pint. It’s being added to the menu to meet consumer demand for something not quite a pint, but not as small as a half-pint, while keeping the fixed qualities locked in under the old system.